Having bugs in your home can be so annoying. This is why some companies specifically too upon them self to produce bug repellents so as to help us get rid of insect and bugs in our homes. These pages will be comparing two of best insect and bug repellent in the world Spectracide Bug Stop and Ortho Home Defense. As we’ve rightly said, these two repellent works by helping us to get rid of all kind of Insect and bugs around our homes and also prevent them from returning anytime soon. 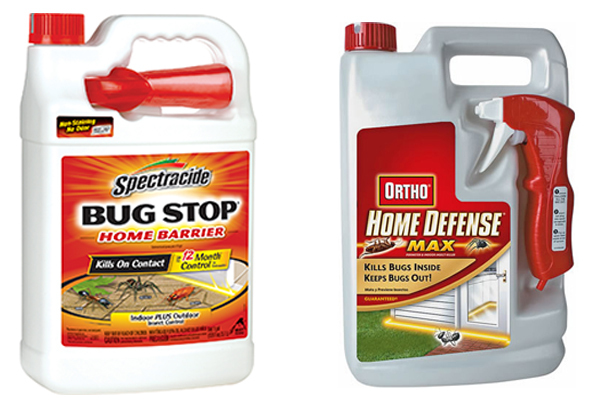 Ortho home defense is a product of one of the best bug repellent producer Ortho, The home defense Spray is known for its fast-acting formula and the ability to quickly kill off bugs as well as preventing them from multiplying. It has the potent power to prevent all kinds of insect such as ants, mosquitoes stink bugs, spiders, moths, crickets, ticks, silverfish, beet worms, millipedes, centipedes, scorpions, and other types of flying and crawling types of insects. Ortho doesn’t just stop at killing bugs in your home, it also has a strong protective barrier to keep them out of your environment for more than 12 months. Ortho Home Defense is more pet-friendly and they are safe once dry, compare to spectra ci debug stop which much more concentrated and can be harmful to pet small children. Ortho Home Defense current price on Amazon is $12.86 while the price for spectra ci de varies depending on the maker. The new Ortho Home Defense is simple to use it has one-touch continuous spray, making it easy to use. Bugs are real nuisance and can cause lot of head for you when you have them in your home; so it’s quite important to do something about them before they cause any further damage. As for the best out of the two repellent discussed above, in our humble and personal opinion, we’ll pick Ortho Home Defense base on the user feedbacks and the great features that come with the repellent. however, Spectracide Bug Stop can come handy anytime any day as they are also trusted by a lot of users.